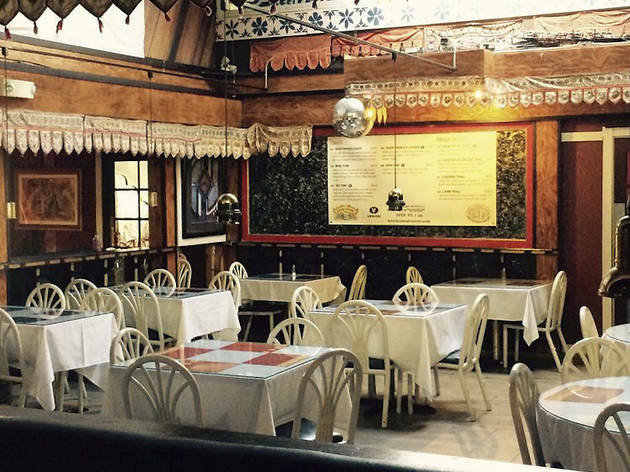 At first glance, Kennedy’s Irish Pub in North Beach might see like your typical bar. There’s a small front patio with lingering smokers and on sunny days, the institution’s back patio fills up with beer drinkers quickly. There are pool tables, foosball, air hockey, video games and a good variety of beer in the bottle and on tap. 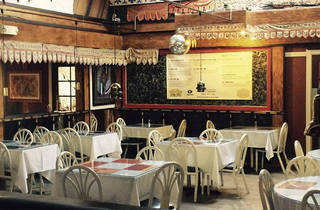 And... there's also an authentic Indian curry house located smack dab in the middle of the bar. If you’re scratching your head, you’re not alone. Everyone is a little confused at first, but the quality of the authentic Indian food—think delicious Paneer Makhani, finger-licking good chicken tikka masala and crispy samosa puffs filled with potatoes and green peas—along with the relaxed vibe just works. Everyone is welcome at a place like Kennedy’s, and welcome to come hungry. Everything about the space is slightly remarkable, from the giant clam shell that doubles as a sink in the women’s bathroom to, you know, the white table-clothed Indian restaurant.